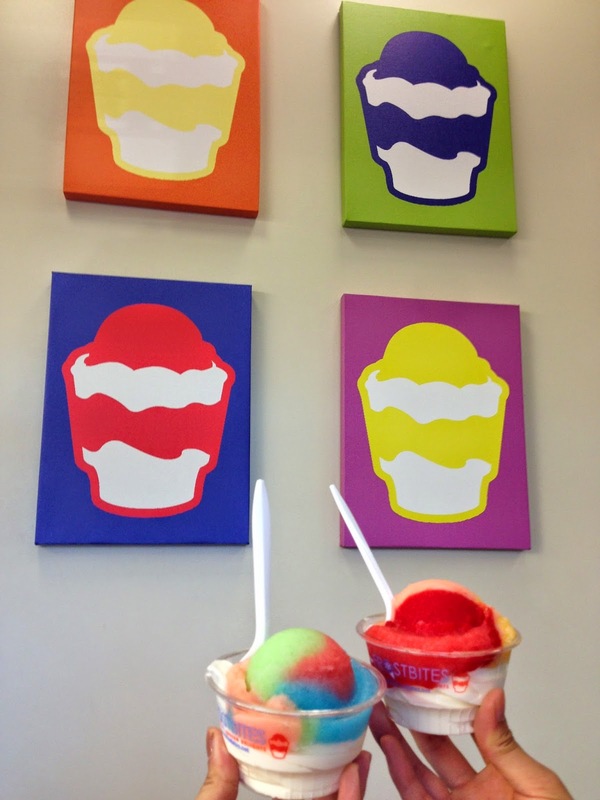 Frostbites offers Italian ice with a twist of frozen custard. You can mix any of the many flavors that the store carries with your choice of vanilla or chocolate swirl. If the line is not too long, the associates will advise you with the most popular combinations. I must have tried more than ten combinations and found that the "sour gummy worm" was the best mix with the right amount of tanginess, sweetness, and refreshment. 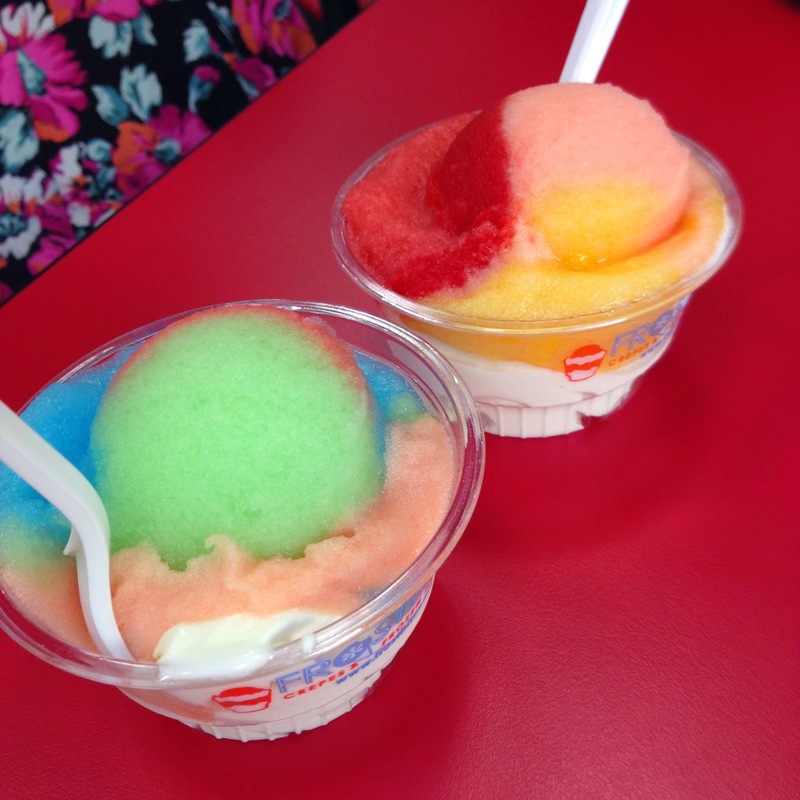 To get this combination ask for strawberry lemonade, green apple, watermelon, and blue raspberry. 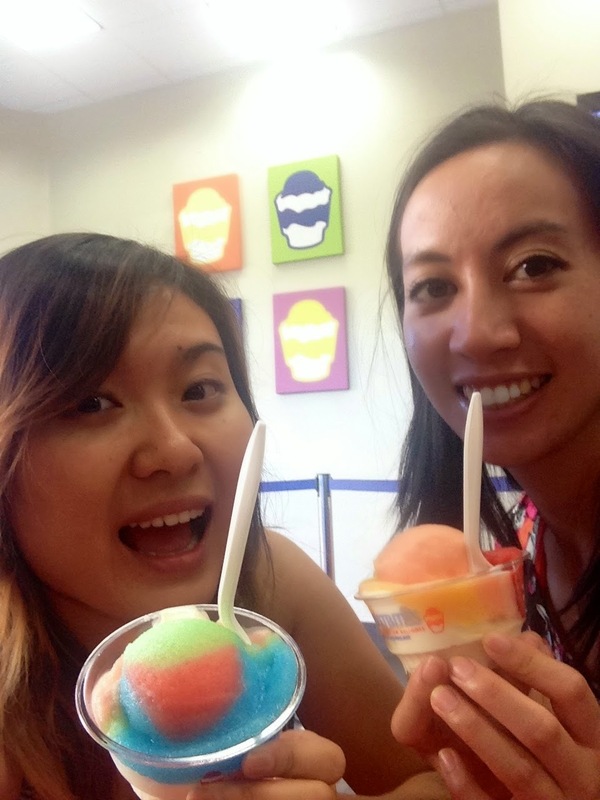 Sorbet shakes, sorbet sodas, and sweet crepes are also options you can try here.